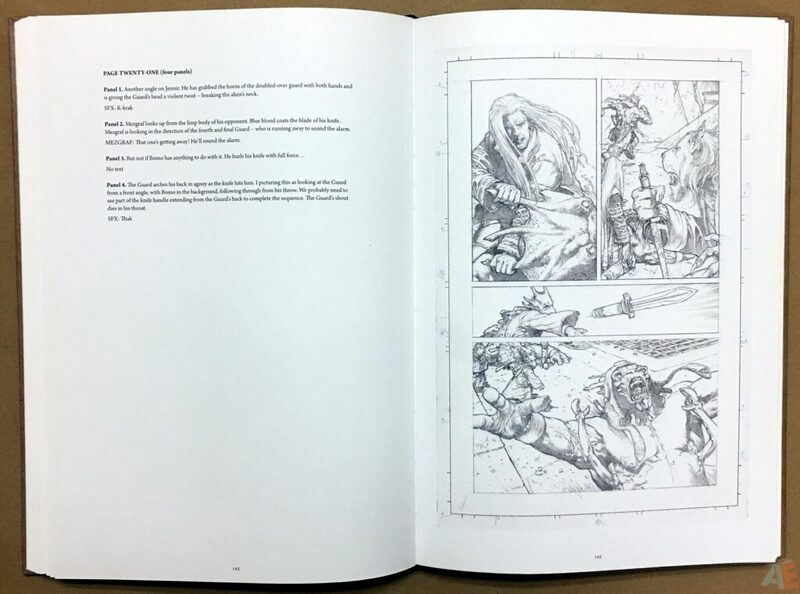 High quality scans of Douglas Wheatley’s original art, plus a feature not seen in other “artist’s editions”—the complete scripts from which Wheatley worked, allowing readers to see where he chose to stick to the script, or revise the art to better suit the story. 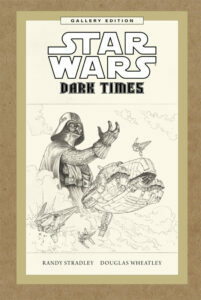 Includes Star Wars: Dark Times #1–#5. 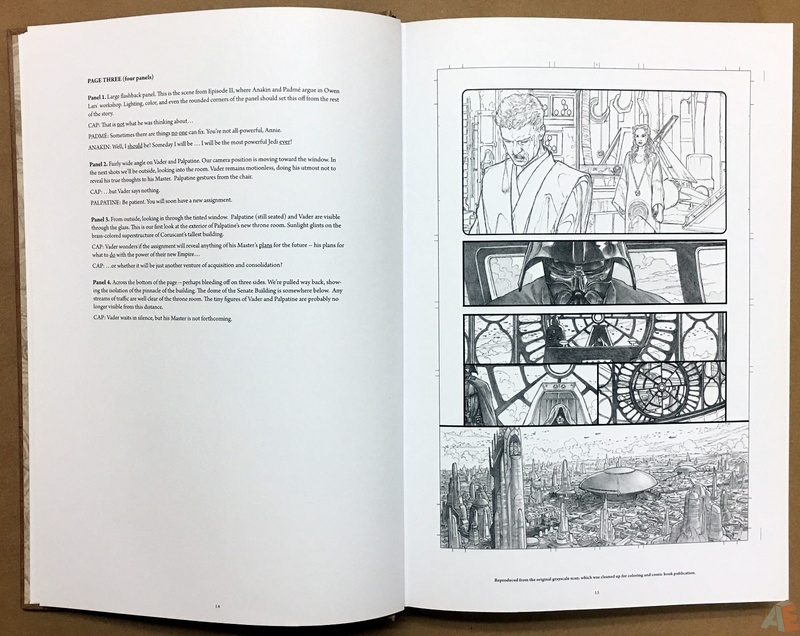 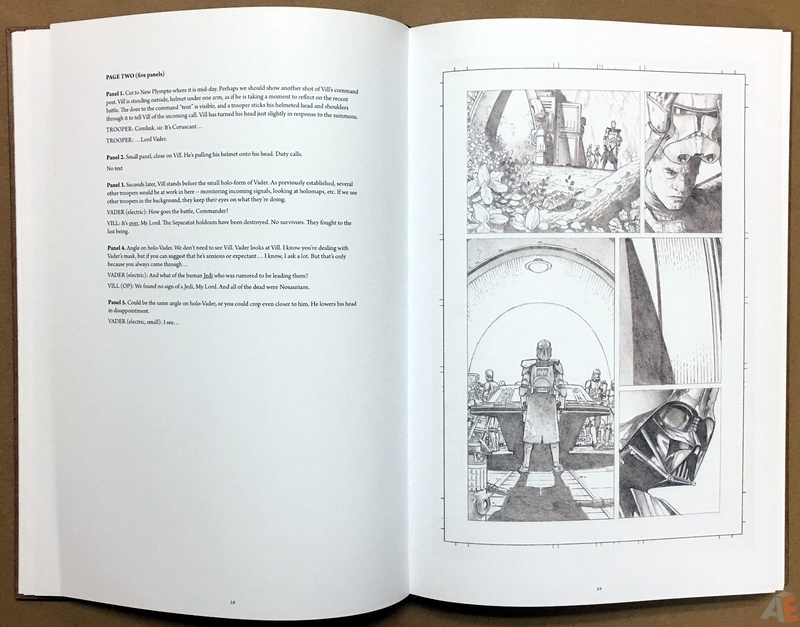 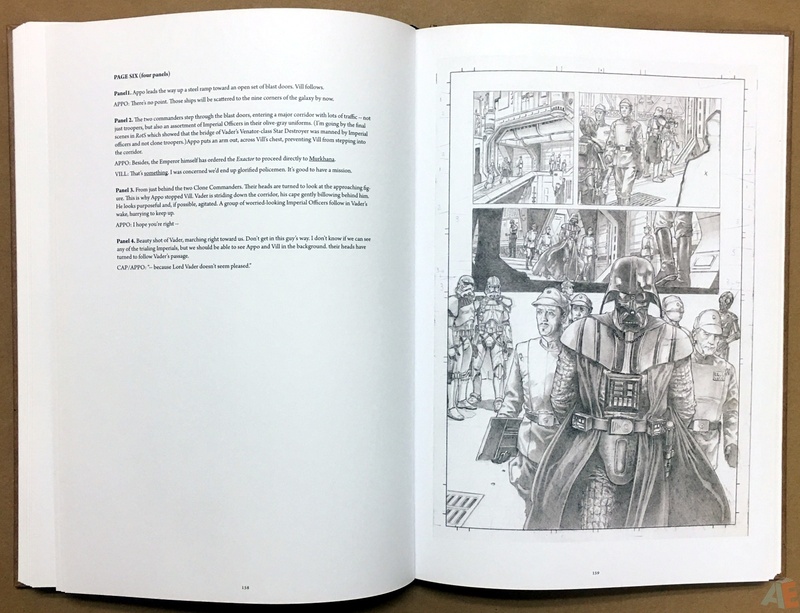 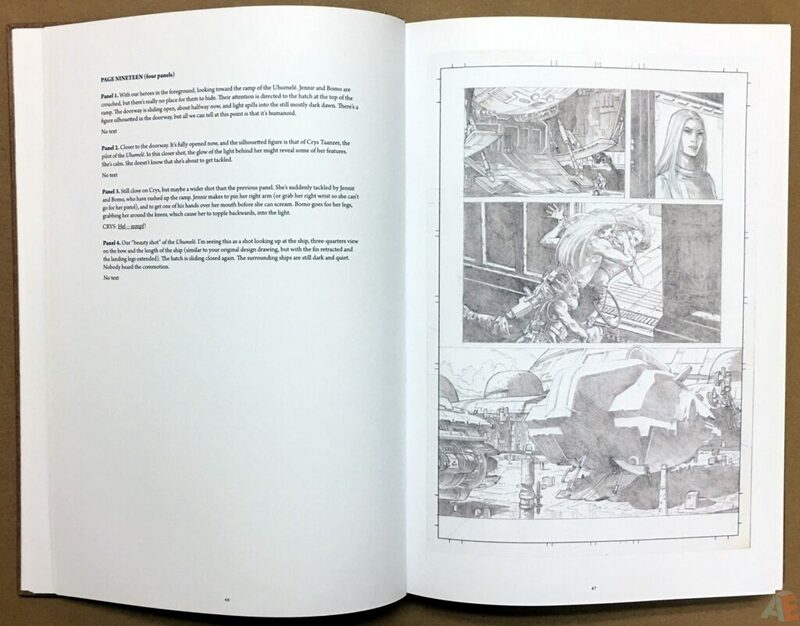 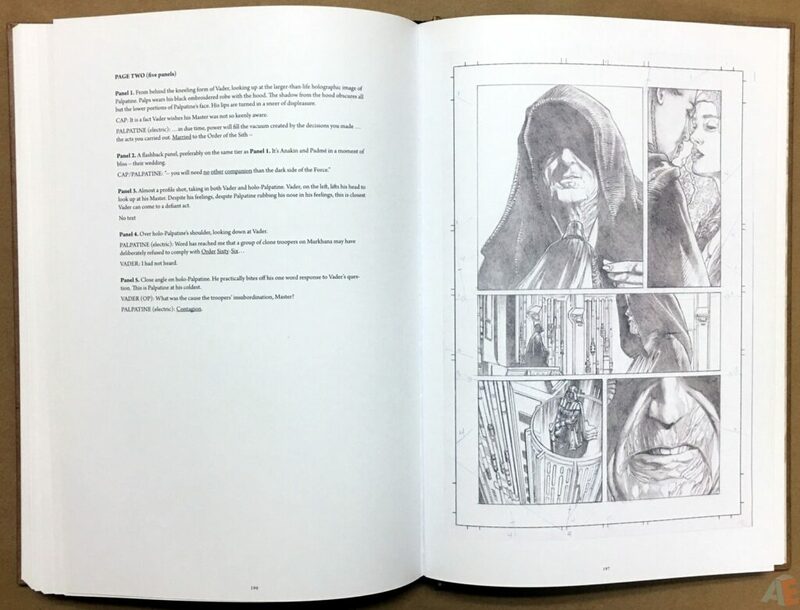 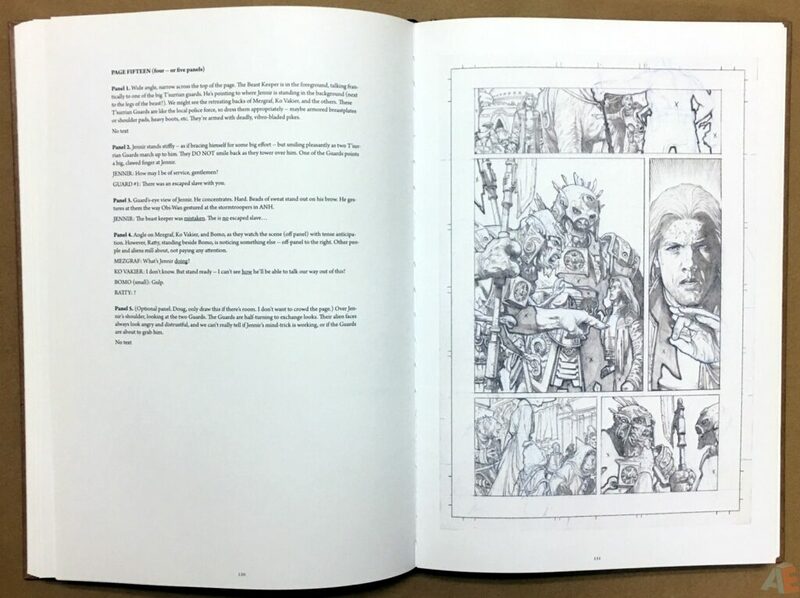 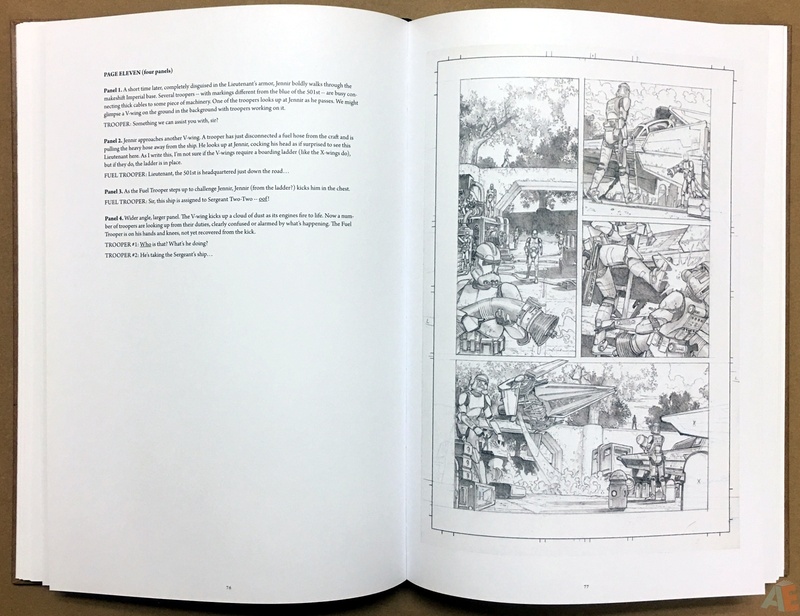 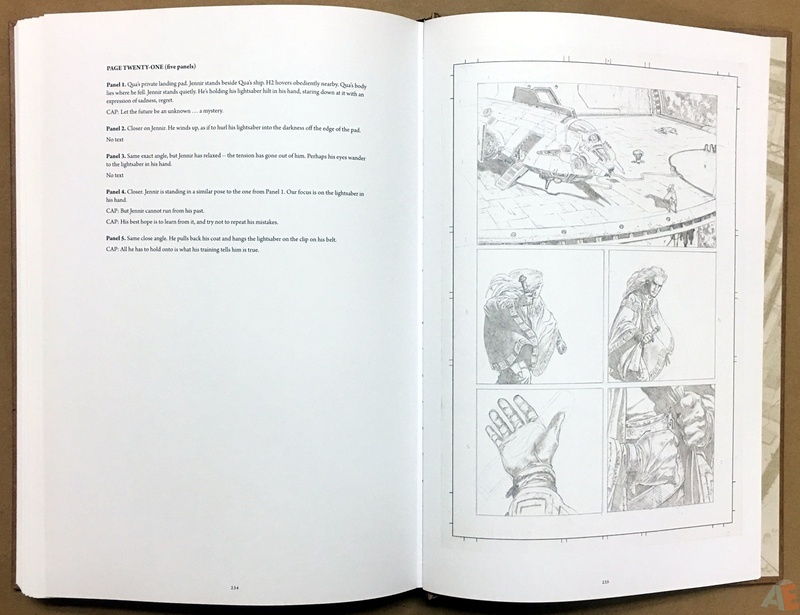 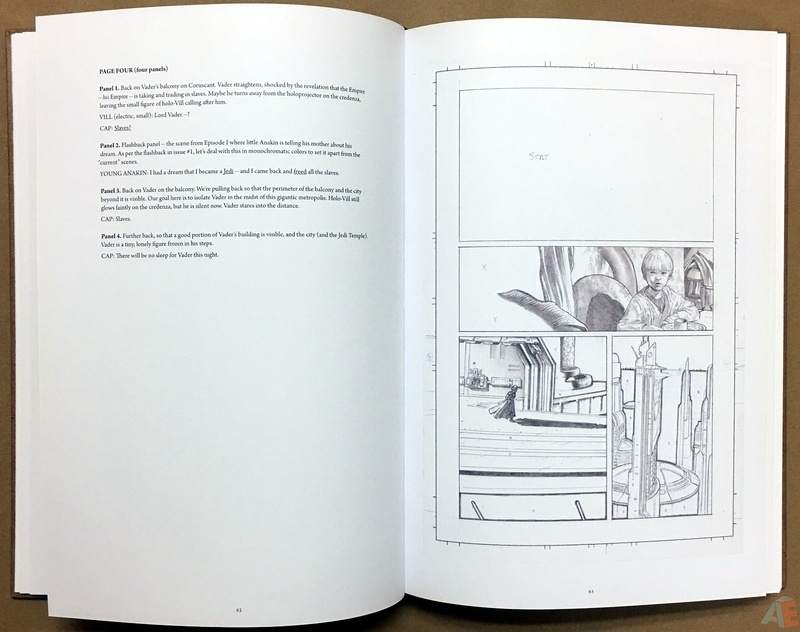 This edition is unique to the format in two distinct ways: the complete script and penciled art are provided with no lettering on the art, and this is the smallest full size original art edition published. 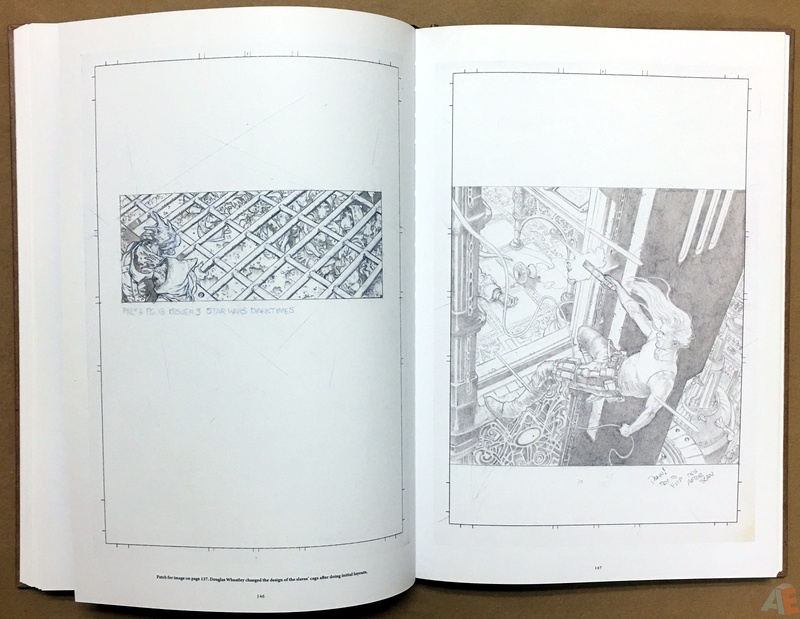 Let’s address the size first: at nine by thirteen inches it’s basically the size of an Absolute volume.Douglas Wheatley works on a small art board and they are printed at full size. 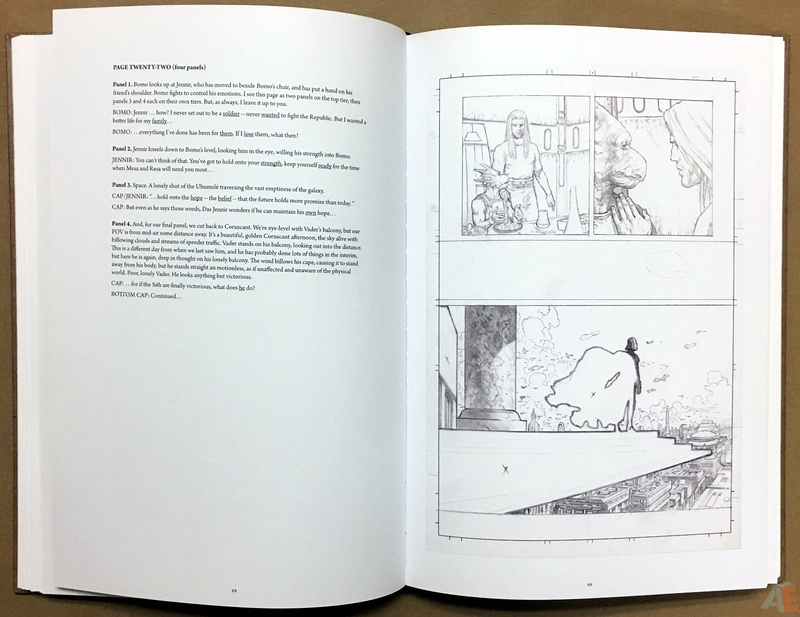 With the script on the left and unlettered art on the right a unique opportunity to see the writer’s descriptions interpreted and visualized by the artist. At first it’s a bit clumsy to read each panel on the left and then see it on the right, but it smooths out and the process becomes captivating. 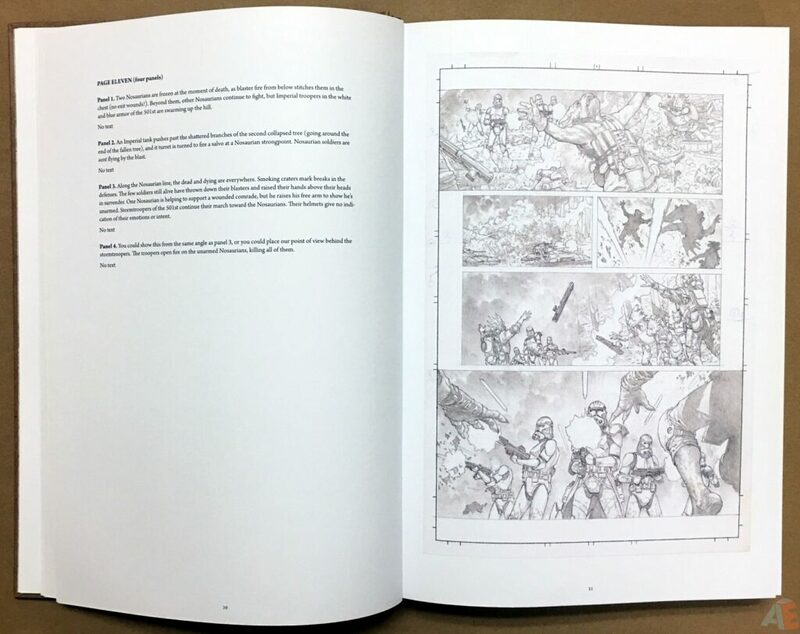 Five twenty-two page issues are presented; all pages are scans from the artist, save for seventeen that are from the production scans. 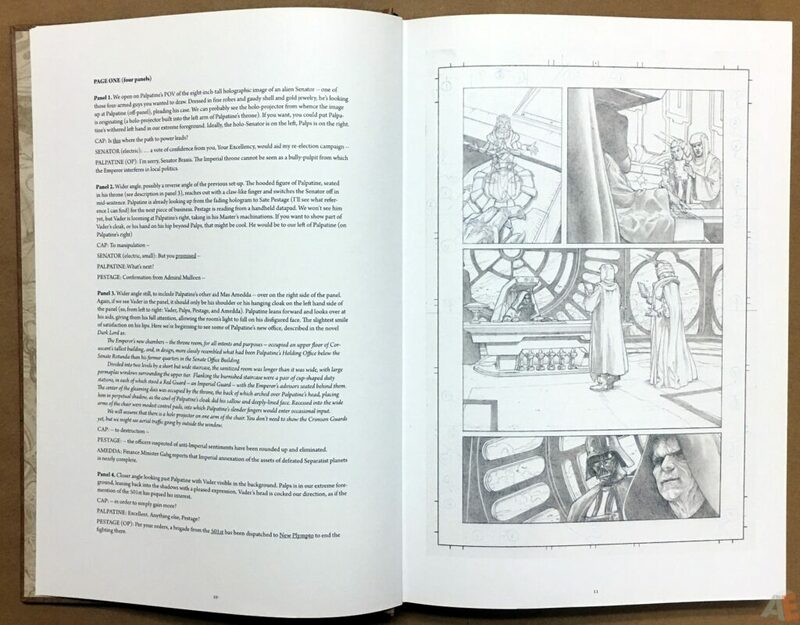 The pages are clean and crispy show Wheatley’s detailed pencils in all their splendor. It’s a stark contrast comparing the pages to those production scans; the pencils were heavily darkened, changing the graphite brown to a very dark almost black brown. 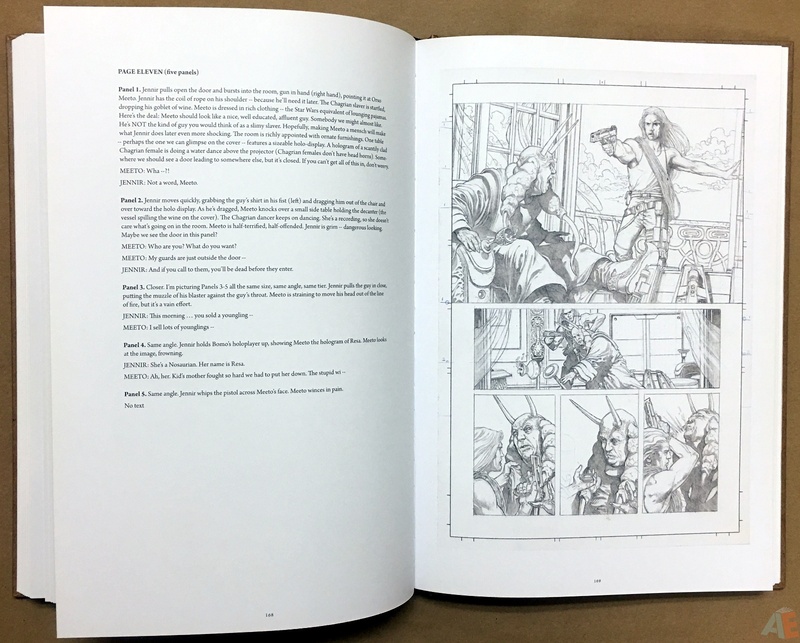 Production is superb. 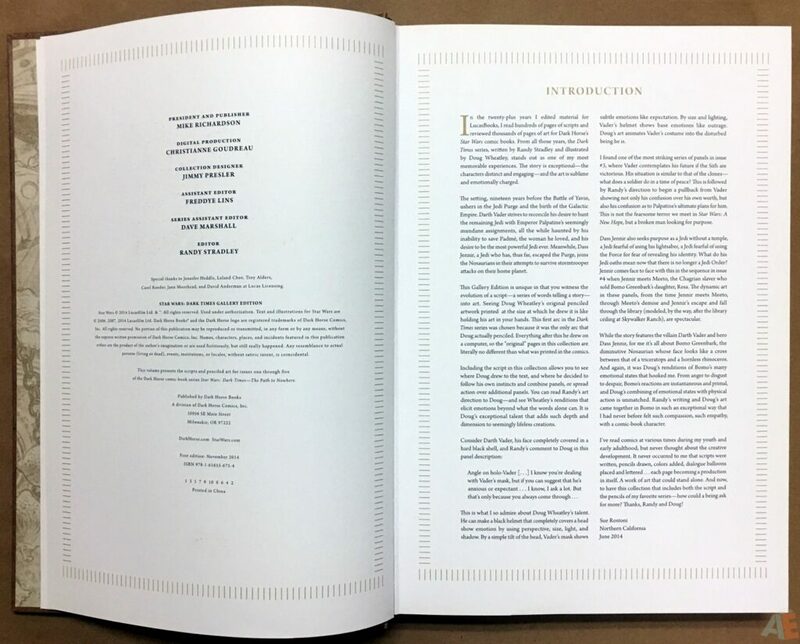 Thick archival paper with sewn binding. The binding is tight but allows for the book to lay flat. It came shrinkwrapped in a cardboard case. 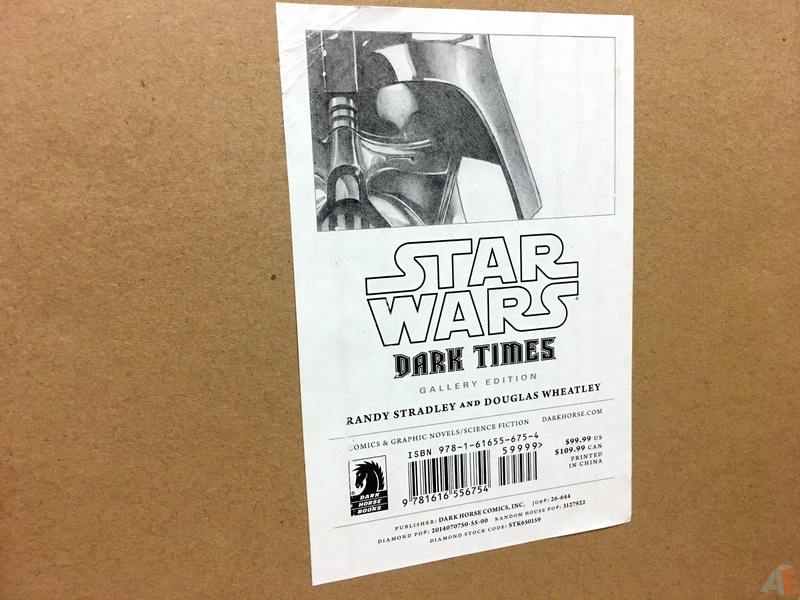 The price sticker and barcode were on the shrinkwrap. 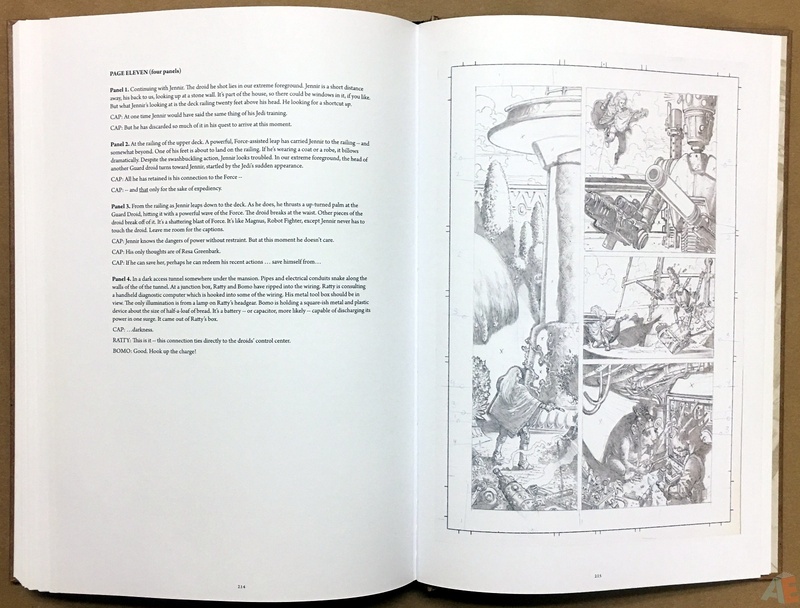 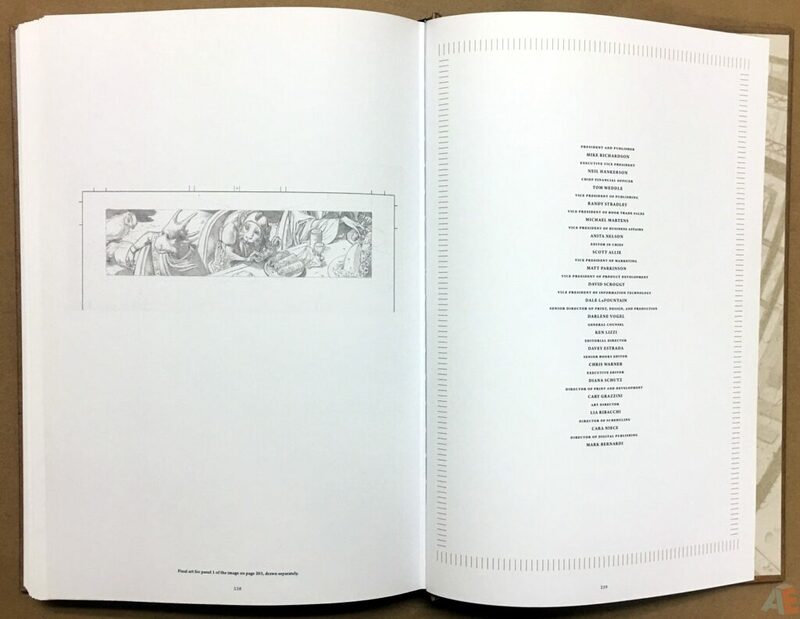 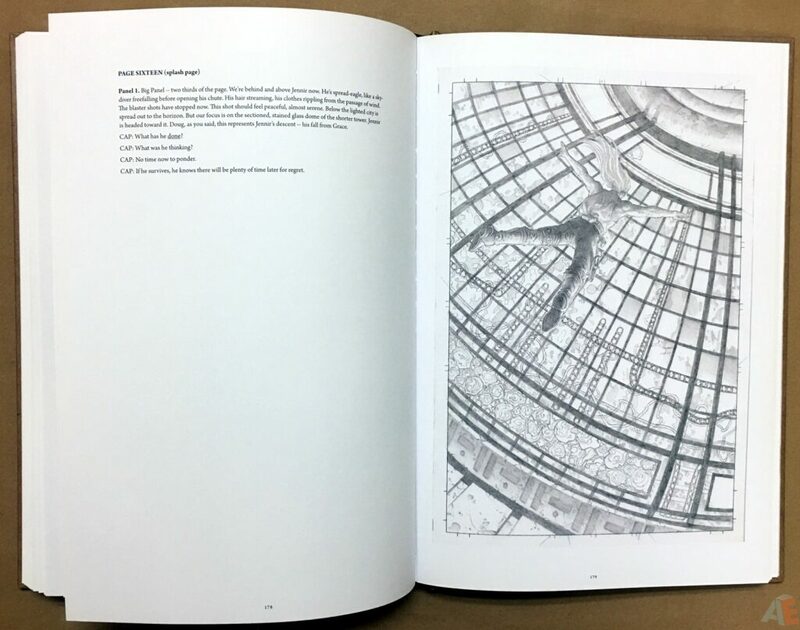 Design follows the Dark Horse Gallery house style, with the tan cover border, tan endpapers, repeating title pages and lined page borders. 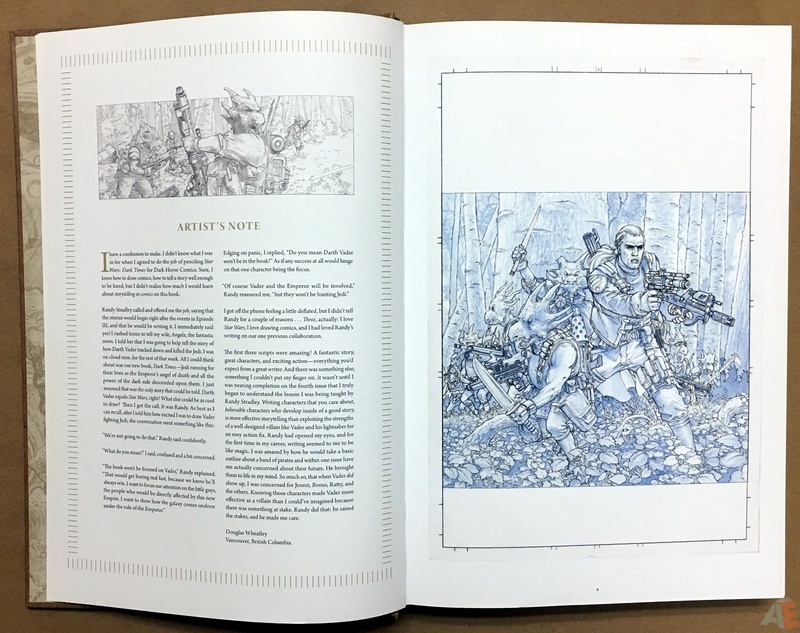 The issues are presented in order with covers. 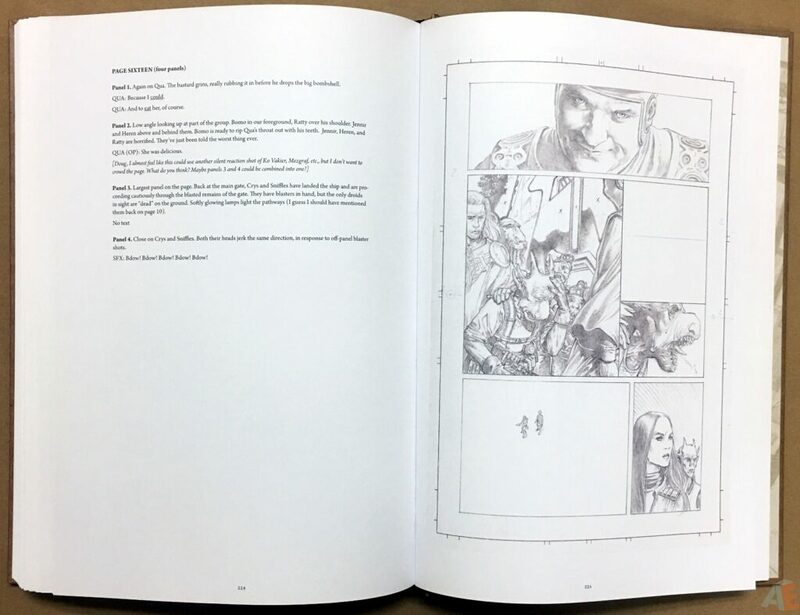 There aren’t any extras or gallery after the issues, but panel replacements are provided at the end of each of the five issues. Lots of additional information provided through the introduction by Sue Rostoni, Writer’s Note by Stradley, and Artist’s Note by Wheatley.